POs and bookbuilding in future HM government primary share disposals; the Myners review, Dec 2014. 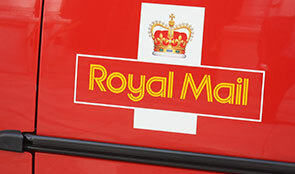 This impacts case study shows how our review of the government's sale of shares in Royal Mail led to the appointment of an expert panel that made recommendations about the whole system of Initial Public Offerings. It is one example of financial or non-financial benefits realised in 2014 as a result of our involvement, all of which are set out in our interactive PDF. In October 2013 the Shareholder Executive – part of the Department for Business, Innovation & Skills (BIS) – sold 60% of the government’s shares in Royal Mail PLC to private investors, generating proceeds of £1,980 million. We conducted a value‑for-money study, which examined the Shareholder Executive’s method of sale. We reported that there are limitations in the standard ‘book-building’ process to create demand for and allocate shares. We concluded that although the Shareholder Executive achieved its primary objective of delivering a sale of shares within this Parliament it could have achieved better value for the taxpayer. Our report recommended that the government should consider whether alternative methods of accessing equity markets would achieve better value than the process used to privatise Royal Mail. In response, the Secretary of State for Business, Innovation & Skills appointed Lord Myners to lead a panel of relevant experts in conducting a review of the way government-owned shares are sold through Initial Public Offerings. Lord Myners found that: the standard system of book-building used in the privatisation of Royal Mail demonstrated its limitations; Royal Mail might have priced a little higher but not anywhere close to the level of initial trading; and any decision to revise the price range would have added uncertainty and risk. His recommendations included a number of changes to United Kingdom market convention and, in some cases, regulation. We also supported two parliamentary committees’ hearings on the Royal Mail privatisation, and we have continued our engagement with the Shareholder Executive through regular dialogue concerning other corporate finance transactions and the development of commercial skills.